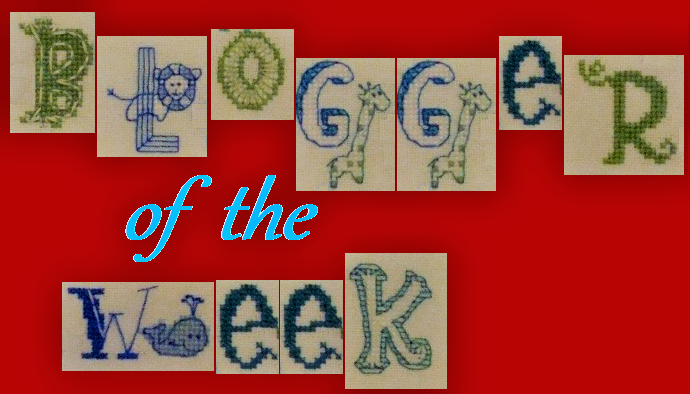 Before we meet this week's Blogger of the Week, I'd like to announce the winner of the competition I recently held to celebrate our 26th Interview. I featured 9 photos taken from the first 26 interviews and asked you to identify the bloggers who stitched each design. Well done to everyone who took place; the random number generator selected Faith from Faithfully Stitching. Well done Faith! Please email me to let me know which store you would like your e-voucher from. I see you are a HAED fan, so either them or one of the other online stores you use. 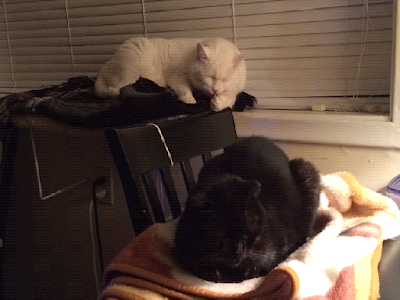 Hi, I'm Bea Lapp, living in Prince Rupert, BC Canada with 2 spoiled cats, Snowy and Yoda. No family left as I had no siblings and never got married. First blog post was 17 October 2007. I had read a couple of friends' blogs and just thought I would give it a go and see if I liked it. I chose 'Thoughts and Musings' because I originally thought of it like a diary, daily activities and what I was thinking about. 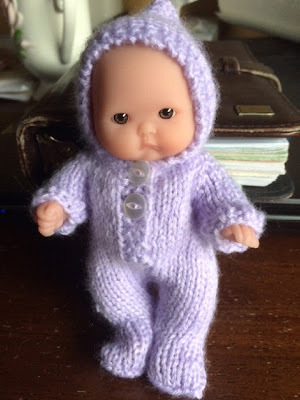 But I found it so much fun to share my stitching and then I found the blog stitching community, so it became more a record of what I was creating and I like it that way. Hmmmm, I don't consider myself a serial starter, but I usually have 5 or 6 WIPs on the go of various sizes and complexities. That way if one is boring me or driving me crazy, I can switch out. I'm organised within a project, but overall I just wing it, which is probably why rotations don't work for me. I'm more drawn by subject than designer. I love cats, angels, dragons, unicorns, castles, Victorian style houses, dresses, etc. I'm not fond of flowers, landscapes, but there are always exceptions as I have done both. Probably the first piece I ever altered. I was doing a birth announcement and the pattern didn't have room for all the information I wanted to put in.The info was under a floral arch and I needed to make it taller - I was scared to death that it was going to look lopsided and out of place, but it worked. And it was before my picture taking days, sorry. I was about 1/3 of the way through a project in q-snaps and had to put it down. Now, I normally set my work down so the stitching is sitting flat on the table, but this time I didn't and when I got back one of the cats had walked across it, torn the fabric and put claw holes in it. Unsalvageable, so had to restart. This is the finished piece. I would love to learn Hardanger although the thought of cutting threads makes me VERY nervous. And I really want to learn to sew so I can have more flexibility in finishing my pieces. I have a bag of them. I make a lot of ornaments, some pillows and usually frame the bigger ones. I think this one. My Canadian roots go back about 250 years and I cannot imagine living anywhere else. Don't tell anyone, but I love punny jokes. "What do you do if your dog chews a dictionary? Take the words out of his mouth." While cross stitch is my favourite craft, I've recently rediscovered my love of knitting and rug hooking. Now if someone will please discover the way to expand time so you can fit 24 hours in every 5 minutes I'd be a happy camper. I will. It's been a long dry spell but I will be posting again. Glad to learn more about you Bea and it is good to see you online too! I miss your posts too and do hope you will come back to blogland soon!! I will. I haven't been doing much crafting, but the energy levels are getting back to normal. It was fun to read about you and your crafting and blogging. And I hope you will get back to your blog soon, Bea. Thank you. And I will return. Thank you - and I will be back. One day I want to stitch that sea sampler too.Nice meeting you.AriadnefromGreece! It's fun to do and well worth the time and effort. Nice to read more about you Bea, and your little rascals! Been missing you! Hope you will come back to blogland. Thank you all for your kind comments. I have really missed blogging and hope to be posting regularly very soon. Fun to learn about you Bea! I'm sure we're all with you on needing more hours in the day for crafting. 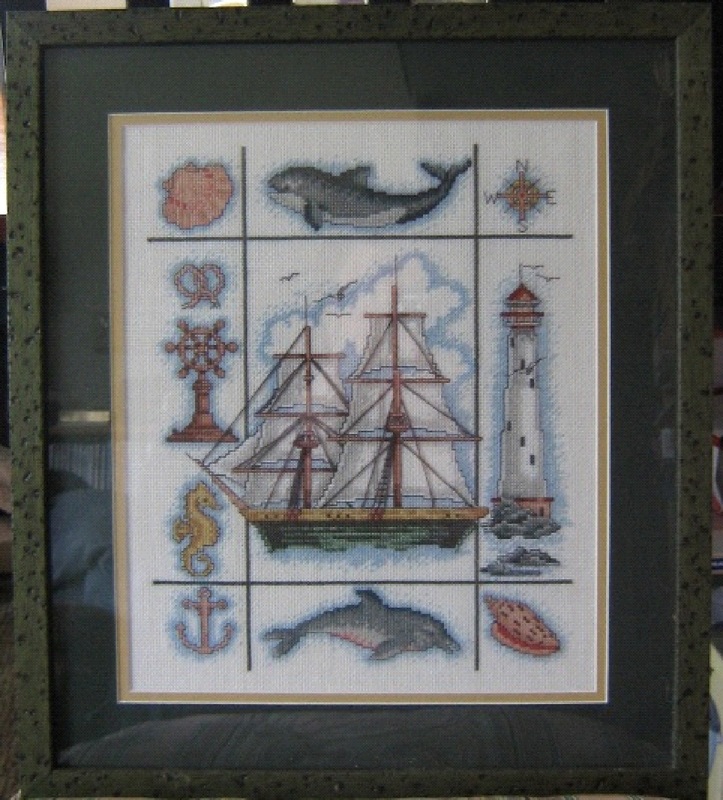 I'm so glad you restricted the nautical sampler, it's so pretty. Hi Bea, nice to meet you and your furry family! Hi Bea - lovely to know more about you :o) I am so glad that you re-started the sampler it is lovely - naughty kitty though! I had a near disaster recently with a kitty claw but after a quick inspection it wasn't as bad as I thought it would be.... only a slightly pulled stitch! I just wanted to cry, but I loved the pattern so much I knew I had to finish it. So nice to learn more about you, I hope you come back soon! What a lovely stitched piece, so sorry you had to start over with it. I love your Cananda finish, we had a wonderful time there in June and I picked up some pieces I still need to stitch. You and my son would have a great time together, he loves those jokes!